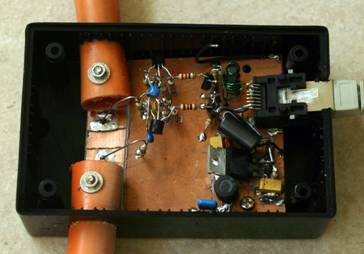 Here you can find some information about the loop construction by different amateurs using AAA-1 kit or LZ1AQ loop amplifier. 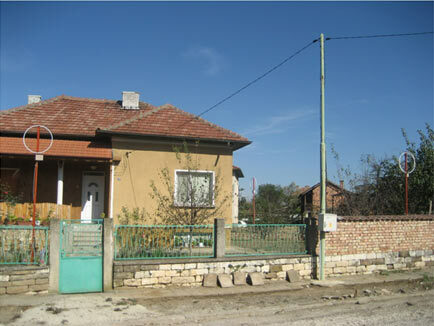 All images are delivered kindly from hams around the world. 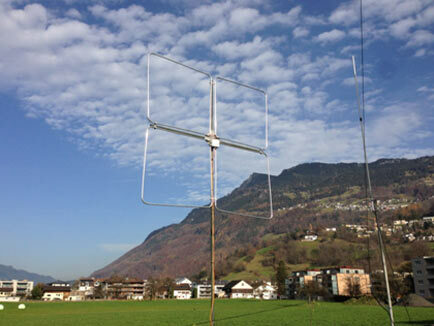 I hope you can draw some ideas about antenna design and mechanical construction from them. 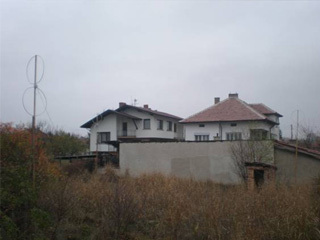 More details are available from the corresponding sites. 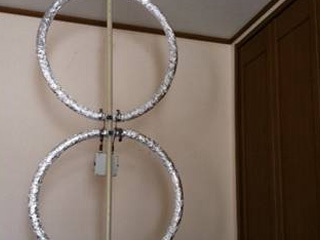 A Japanese transaltion of the article “Wideband Active Small Magnetic Loop Antenna” Thanks to Japanese hams who translate the article. K9ZCE’s loop design with photos. IK0VVE’s loop design with photos. K6AVP’s loop design with photos. 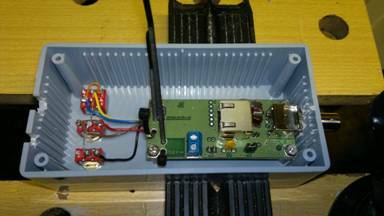 Article from DL4ZAO – in German. 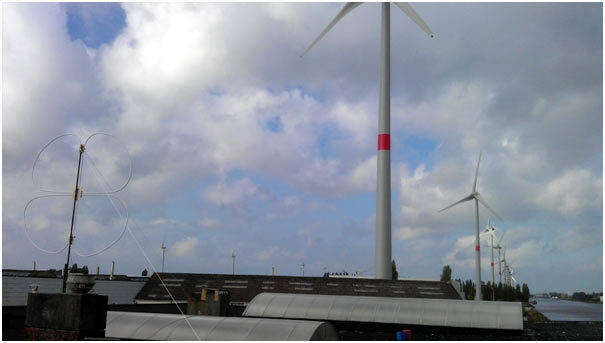 ON5KQ: The battle against windmills! 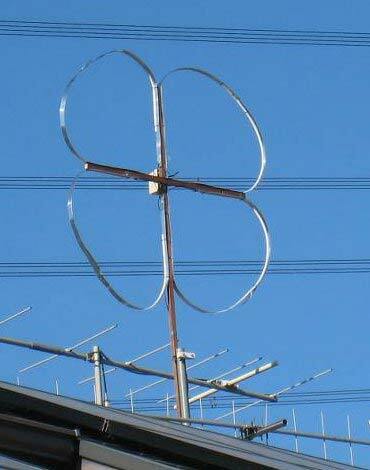 Qualche anno fa, mentre ero alla ricerca dell’antenna delle meraviglie, quella che tutti cercano, l’antenna magica che riceve tutto, su tutte le frequenze, l’antenna che tira fuori i segnalini dal QRM, quell’antenna che deve essere piccola, per stare nel piccolo spazio che abbiamo, ma grande nelle sue incredibili performance, ho incontrato per caso, navigando su Internet, un articolo di un Radioamatore Bulgaro: Chavdar Levkov LZ1AQ. 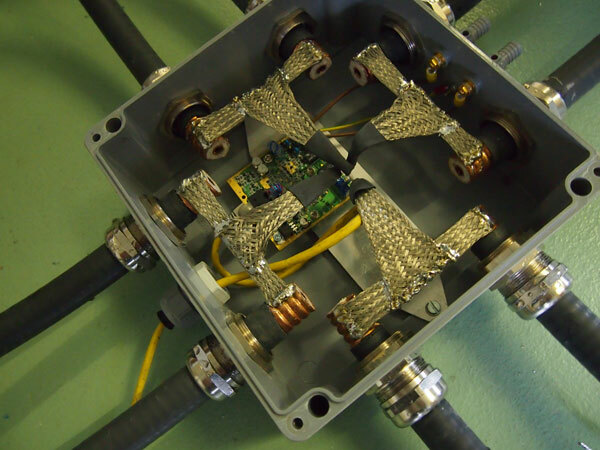 This is an element from PA3AKE’s phased array. Het wonen midden in een woonwijk is niet altijd even prettig als je zendamateur bent. Teveel buren te dichtbij en veel stoorbronnen vaak in de vorm van (plasma) televisies. 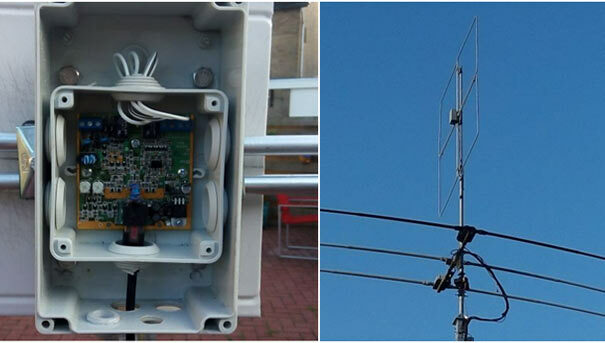 Het storingsvrij luisteren op de lage amateurbanden op de zendantenne wat vaak een verticaal of (verkorte) dipool antenne is levert dan erg veel storing op. 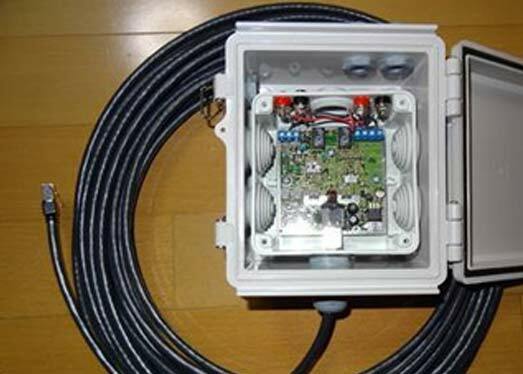 Als je kijkt met een SDR tussen de 1 en 3 MHz dan zie je heel veel stoorsignalen staan. Dit kan oplopen tot ver over de S9 op een aantal frequenties. Lastig als daar nu net het station zit waar je naar wilt luisteren of een verbinding mee wilt maken. 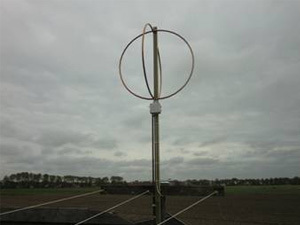 Een aparte ontvangstantenne wil dan wel eens helpen en dan vaak in de vorm van een magnetische loop antenne. Zo heb ik er een aantal gebouwd. 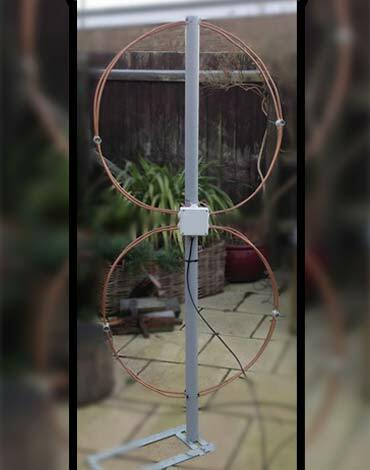 The magnetic loop is very good antenna, with the lowest of low footprint and space requirements. Compared to the K9AY, it is a winner for me. If I had to pick one receive array of my three current ones… hmmm, it would really be a tough call. 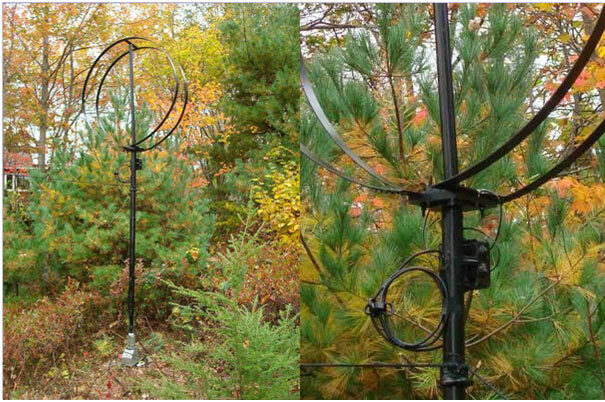 Active receive antennas will be with me for the rest of my radio days, even if I have large amounts of space for antennas in the future. 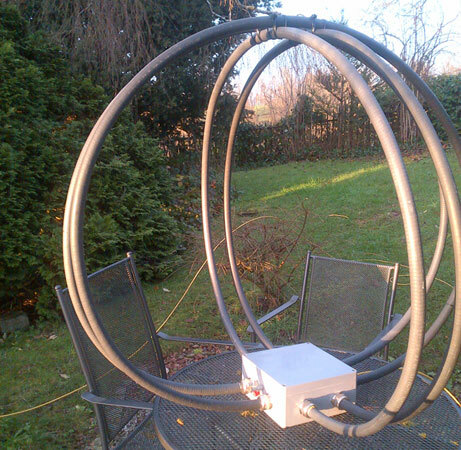 The new magnetic loop has remarkable performance for such a small footprint antenna. It is a keeper! Loop: 2/4 crossed loops each with 1m side. Tubes with diameter 14mm. L: 0.53uH. L of single loop 2.10uH. 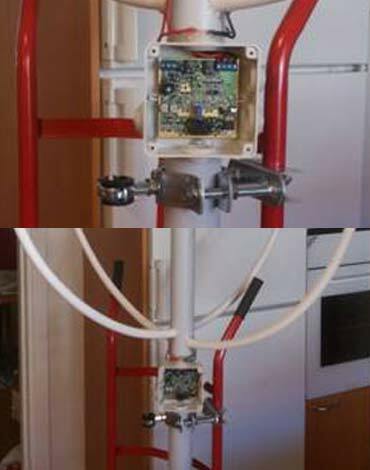 The 4 loops system is now always connected to my QS1R + Skimmer Server, receiving 7 band at the same time. 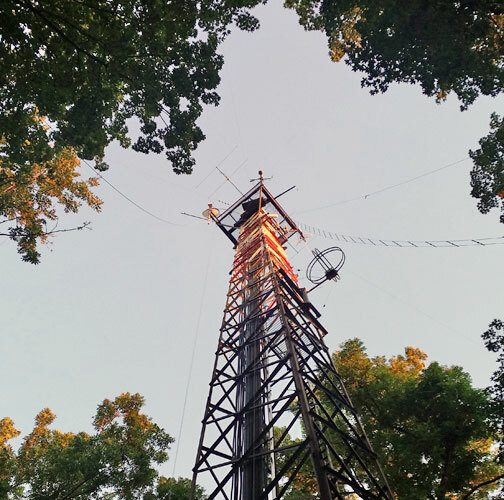 The loop is 34m away from the most closely transmission tower. I used about 50 meters ofcat. 6cablebecause I had a roll in stock. 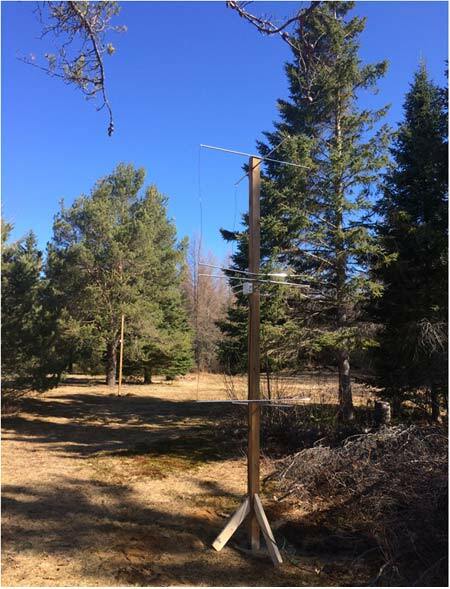 It is composed of two screens (each around 2 pairs) + a ground wire that I connected to the base of the mast. 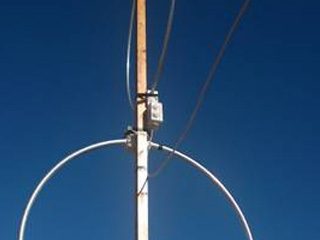 The cable is buried in a sheath. 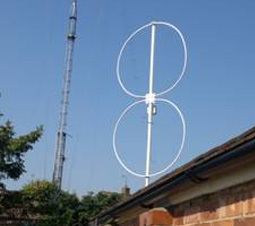 I kept 5 meters more over the base of mast if I ever want to put the antenna higher. 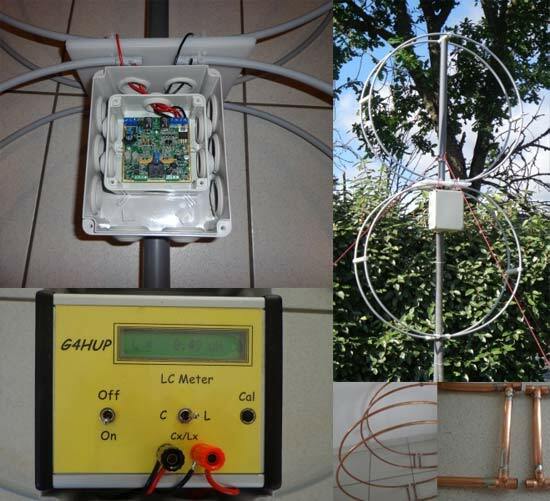 Les premiers essais, avec pour antenne de référence l’end-fed décrite sur le site, permettent de constater que la loop fait généralement jeu égal avec cette dernière sur les bandes basses sans jamais être meilleure, tant du point de vue de la force du signal que du rapport signal sur bruit (en position double loop). A partir de la bande du 40m, l’end fed amène des signaux plus forts et un meilleur rapport S/B. La loop semble un peu moins sensible aux parasites orageux. 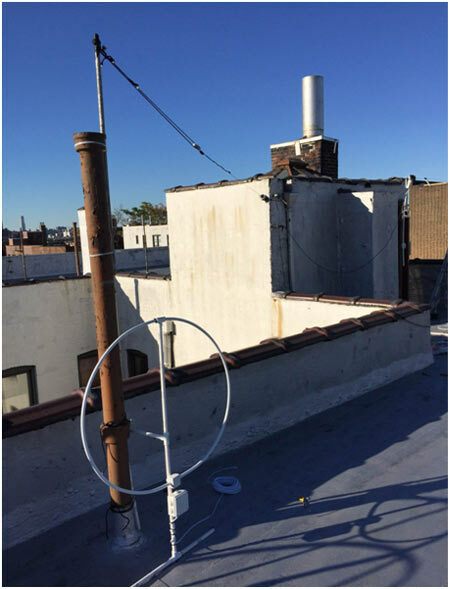 Il convient de préciser que l’installation se trouve en zone résidentielle ; les antennes étant éloignées des habitations les plus proches d’environ 10m (QRA) à environ 50m (voisins). 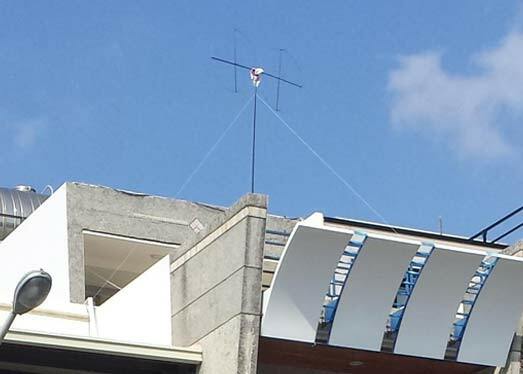 L’end fed fait 37,5m de longueur à 7m de hauteur, la loop d’environ 1,50m se trouve à 2m de hauteur. 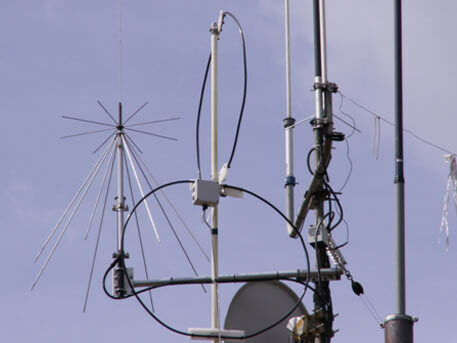 Then there is the possibility of SDR chip damage from your 1.5 KW station! 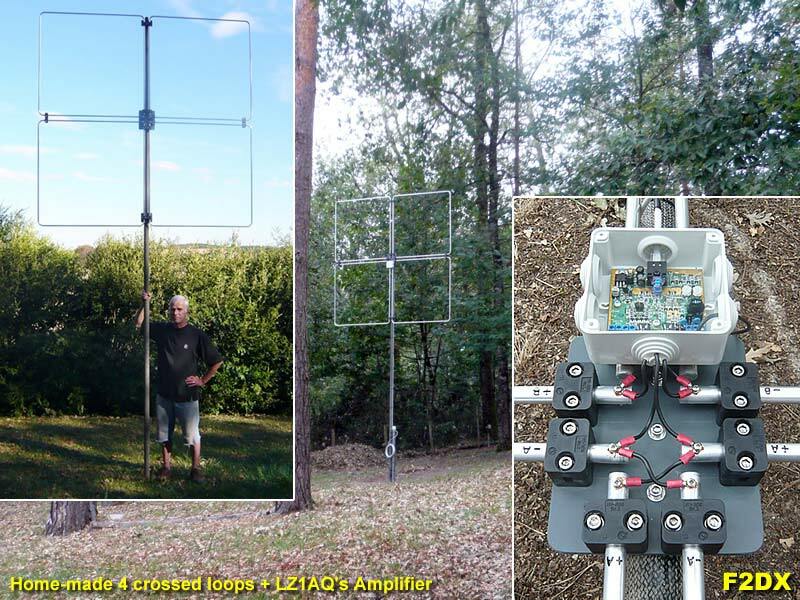 In researching Loops we came across LZ1AQ. 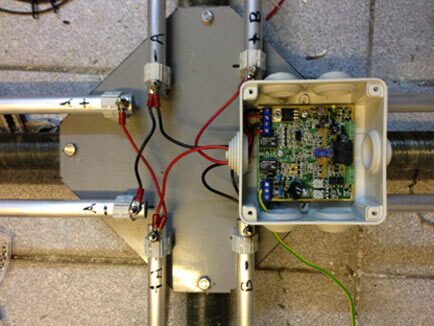 A Brilliant design /engineer (http://www.lz1aq.signacor.com/). 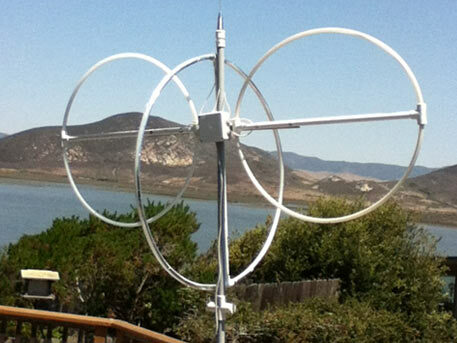 Deep reading sometimes, but a great understanding of what makes a good receiving loop antenna. 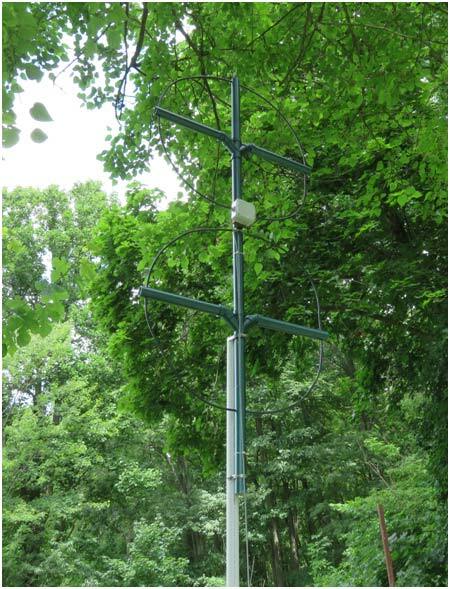 Those who chase DX know that sometimes fading is caused by the signals’ polarization changing in the Ionosphere. 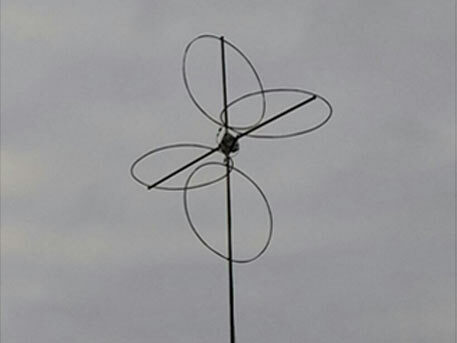 Having both vertical and horizontal loops, and the ability to combine both signals diminishes this fading problem. 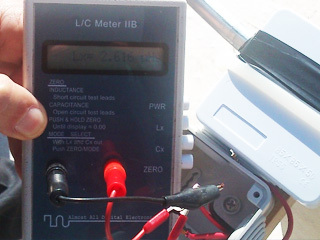 Being able to filter the powerful, commercial FM transmitters diminishes image problems. 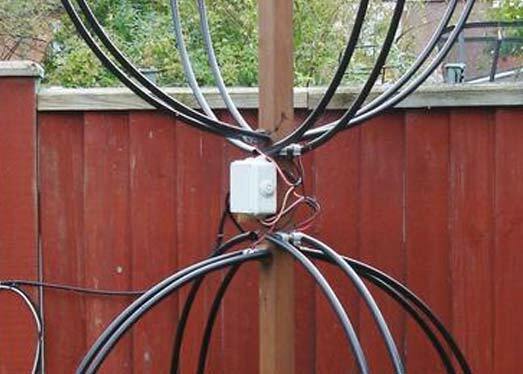 Clipping strong signals at the antenna from very near powerful antennas/transmitters could save the SDR receiver from damage. 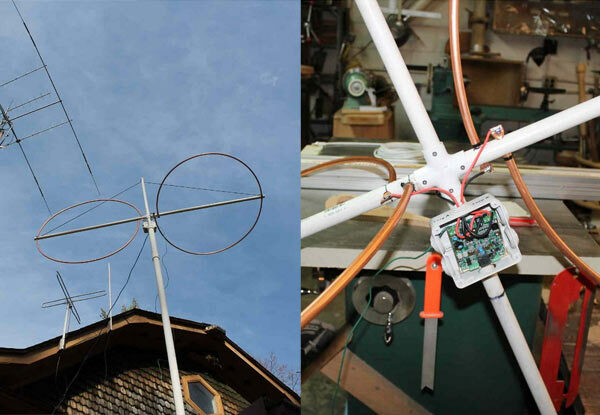 “I made the antenna from 15 mm copper tubing. 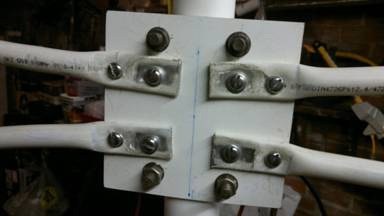 By bending the tube in small pre detemined angles, it became a full circle. 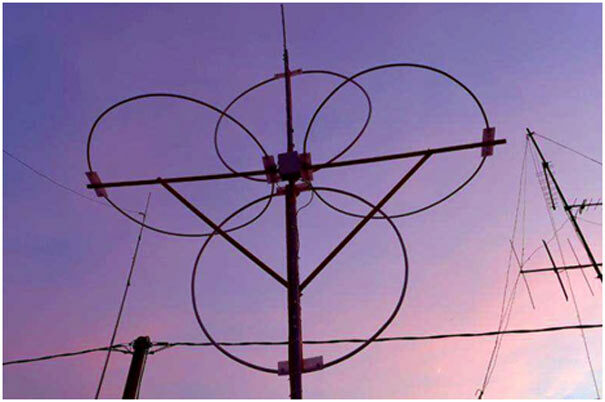 LZ2WO – RX phased array with 2 or 3 active AAA-1 loops 1 m diam. tube 14mm. 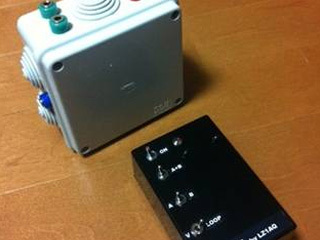 Phased with PA0SIM phaser or with Flex 5000 – dual RX mode.